Our ego, and its accompanying sense of nagging self-doubt as we work to be bigger, better, smarter, and more in control, is one affliction we all share. And, while our ego claims to have our best interests at heart, in its never-ending pursuit of attention and power, it sabotages the very goals it sets to achieve. 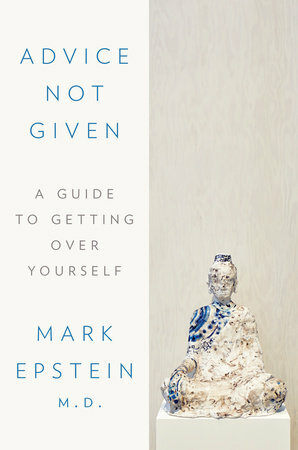 In Advice Not Given, Dr. Mark Epstein reveals how Buddhism and Western psychotherapy, two traditions that developed in entirely different times and places and, until recently, had nothing to do with each other, both identify the ego as the limiting factor in our well-being, and both come to the same conclusion: When we give the ego free reign, we suffer; but when it learns to let go, we are free.